Finally! Here's a little update on Meadowlark. What an exciting time for Meadowlark. A spot on the Kansas Notable Book list was certainly something I dreamed of accomplishing, I just never imagined it would come so soon. I was absolutely thrilled when I got the news that one of Meadowlark’s own—To Leave a Shadow, by Michael D. Graves—made the list! 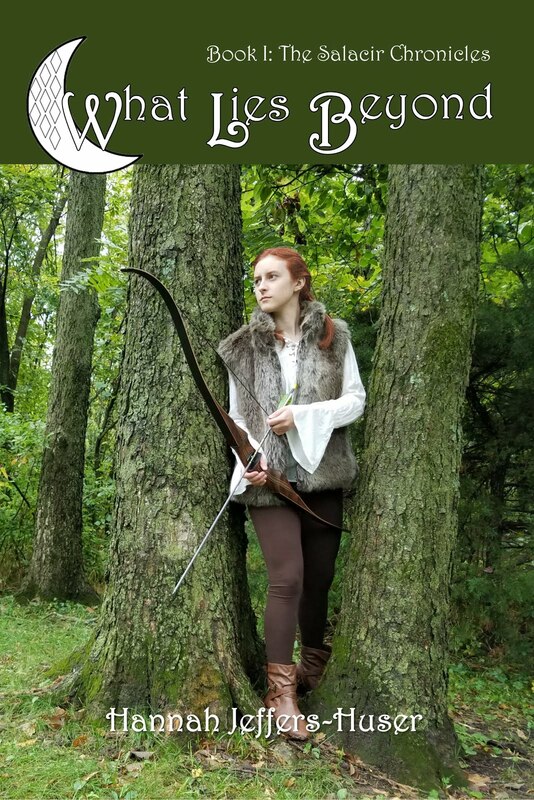 If you have not had a chance to read the book, it is available in paperback and on Kindle at Amazon, or you can order a signed paperback copy directly from the author at the Meadowlark online bookstore. You may be wondering what else has happened since you last heard from me in December 2015. 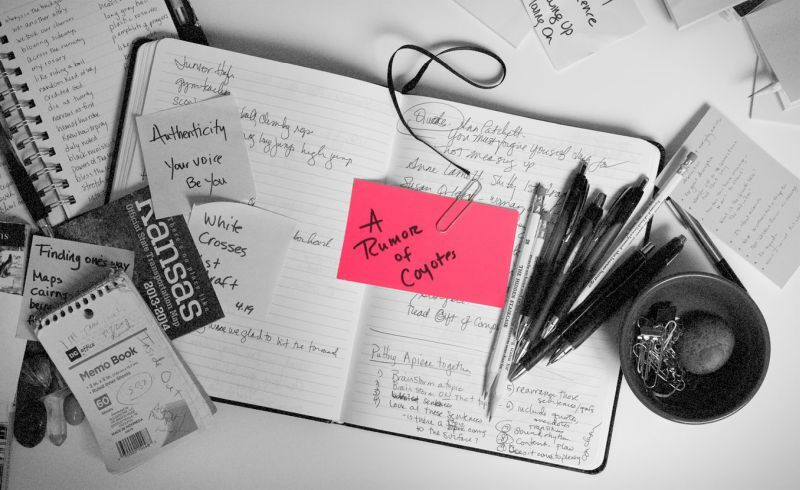 Mostly, I’ve been distracted by a myriad of non-book related tasks, but the plan for publishing great books by Midwest authors has never been far from my mind. 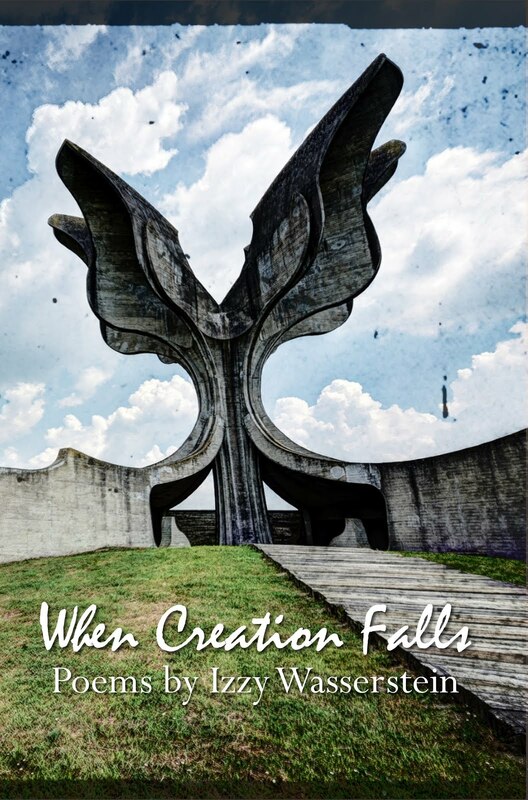 In April, Meadowlark released Songs for My Father, a collection of poetry and short stories by Kevin Rabas. Songs is a beautiful book, inside and out. The cover was designed by the very talented, Eric Sonnakolb, with photography byDave Leiker. I was honored to work as editor on this project, and the interior design is one of my favorite works of book-as-art so far. As well as the beautiful paperback, Songs is available on Kindle at Amazon. 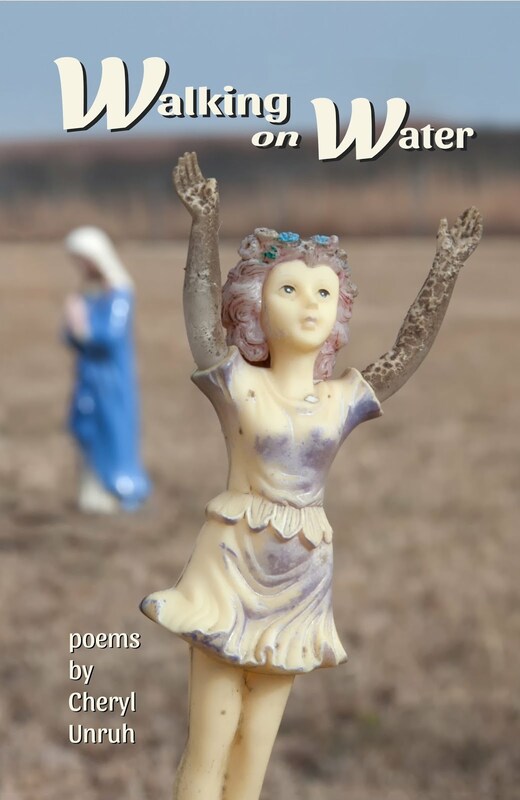 You should check out the review of Songs, as well as one of MoonStain, by Ronda Miller, in the current issue of The Flint Hills Review. 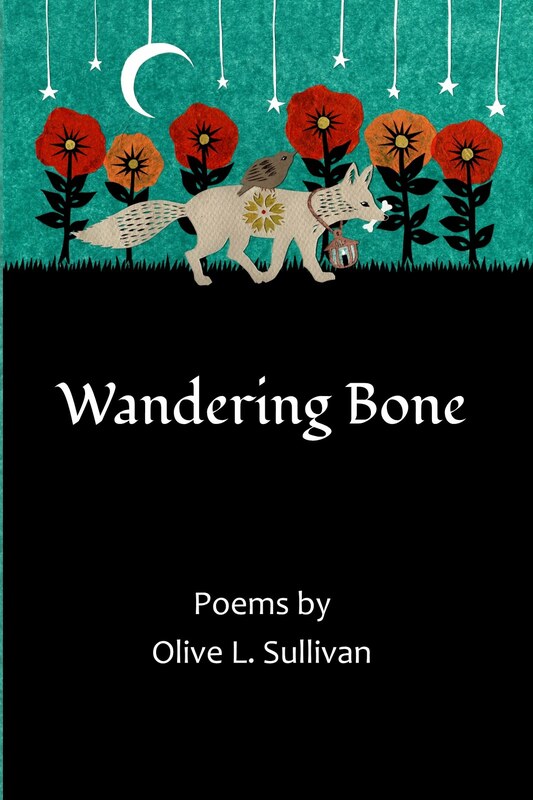 The issue also contains a poem by Michael D. Graves and a short story by yours truly. 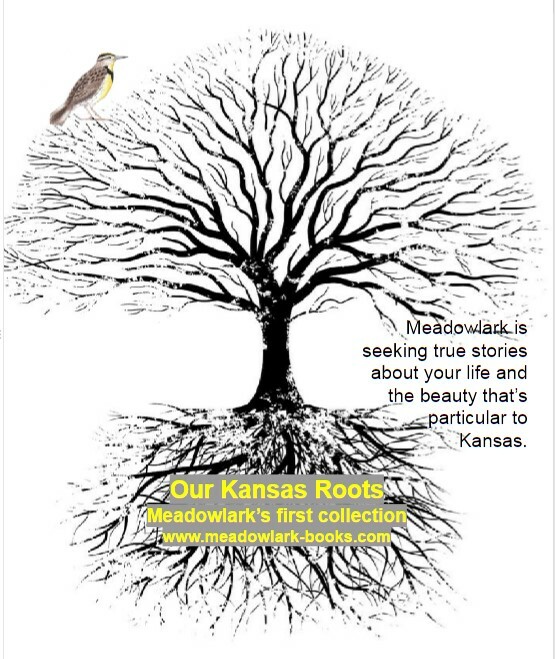 You may recall that I was collecting submissions for Meadowlark’s first anthology, the Kansas Roots collection. The spring deadline resulted in many entries and I was very pleased with the quality of most every submission. In the end, however, there were not enough submissions for the type of book I was hoping to create. Therefore, Meadowlark continues to seek submissions for this project. More details follow below in this newsletter. My mind is busy and full with project ideas and plans for Meadowlark. As I contemplate the direction this little publishing entity will go, I welcome your input, ideas, and feedback. The remainder of this note is filled with details about Meadowlark pursuits, as well as other writerly-related passions. I can be reached at tracy@meadowlark-books.com. Show your support for local authors by reading a local book! If you love it – share a review on Amazon, Goodreads, or simply tell all your friends! 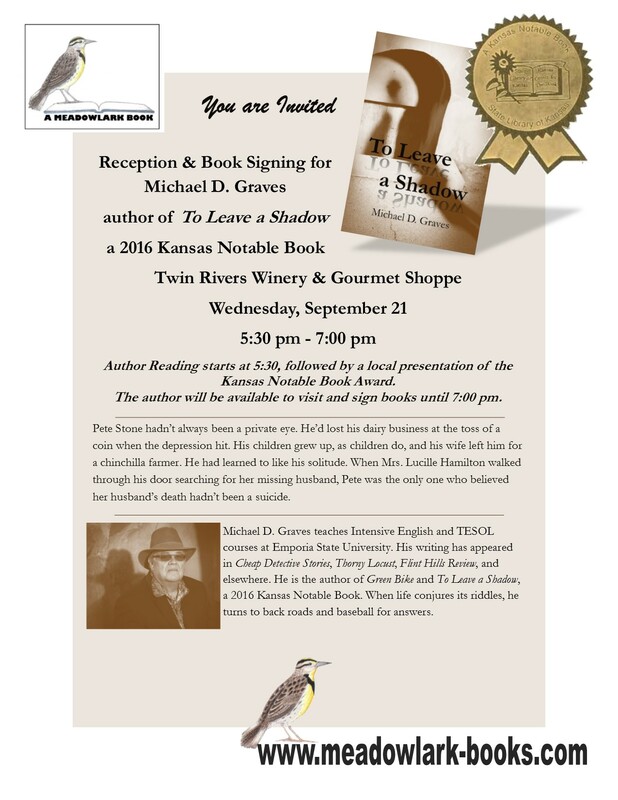 There will be a reception and book signing for Michael D. Graves from 5:30-7pm on Wednesday, September 21, at Twin Rivers Winery, 627 Commercial, in Emporia. 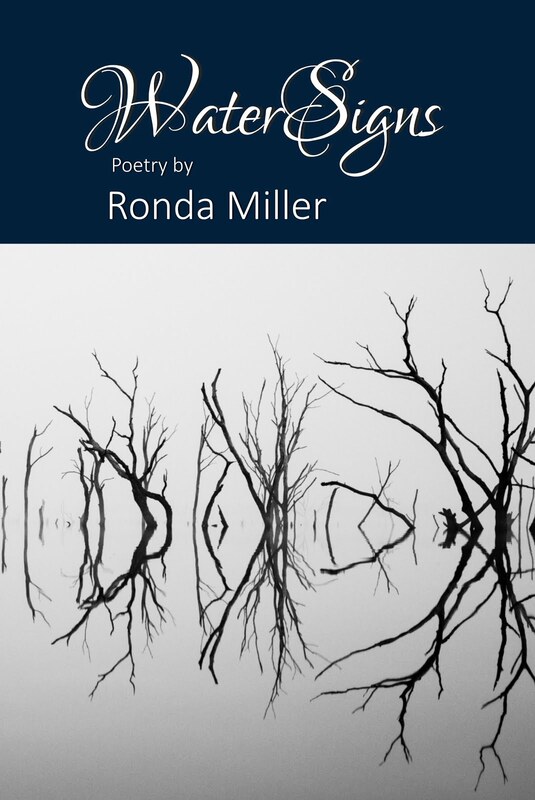 Ronda Miller, author of MoonStain, will be reading at Poetry on the Porch on Sunday, September 25th, at The William Allen White State Historical Site in Emporia, 927 Exchange St. This is the 11th of the Poetry on the Porch series hosted by Kevin Rabas and The William Allen White House. Miller's reading begins at 2 p.m., and will follow with an open mic for additional poet readings. Meadowlark Books will be present to sell copies of Miller's bookMoonStain. 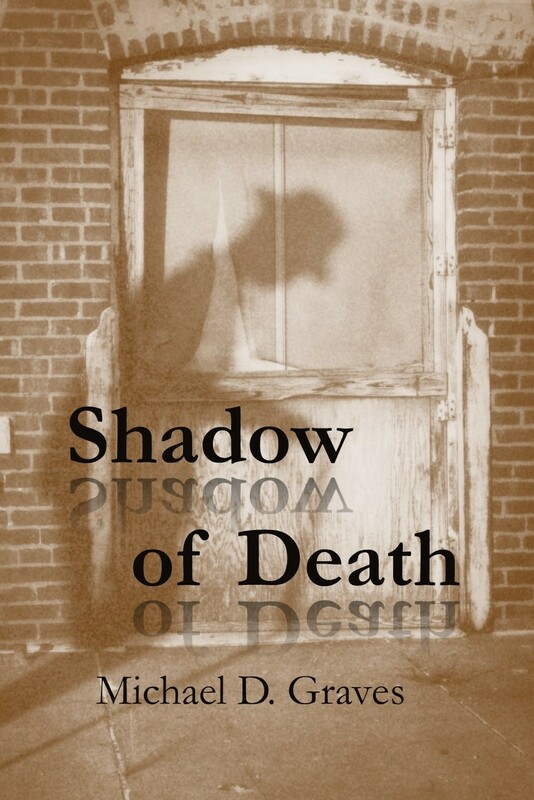 Michael D. Graves will discuss how he used the scattered memories of his grandfather, a man he barely knew, to create the life of a character from his grandfather's place and era, a character who might have been his grandfather, a character who left a shadow. 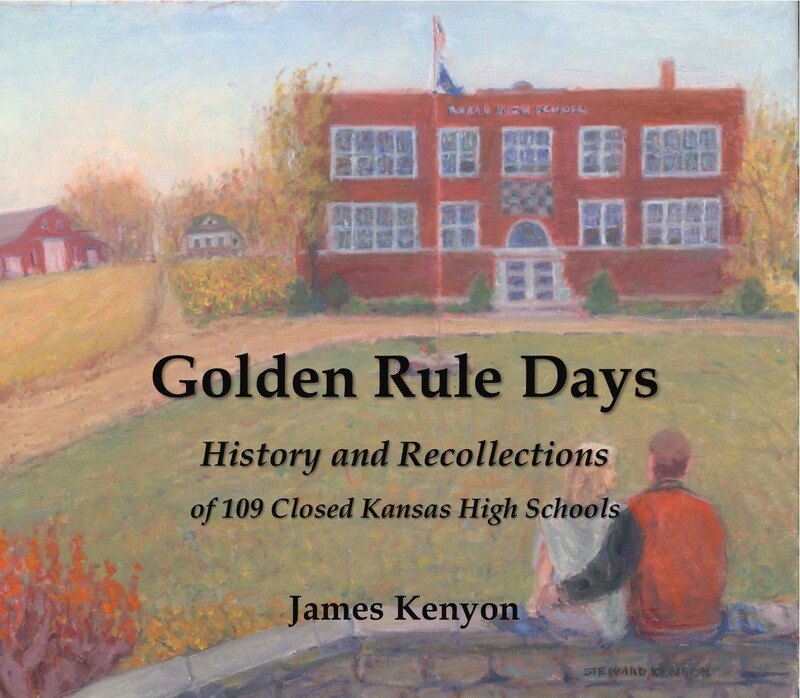 This presentation will be at the Kansas Authors Club convention in Lawrence on Saturday, October 1. 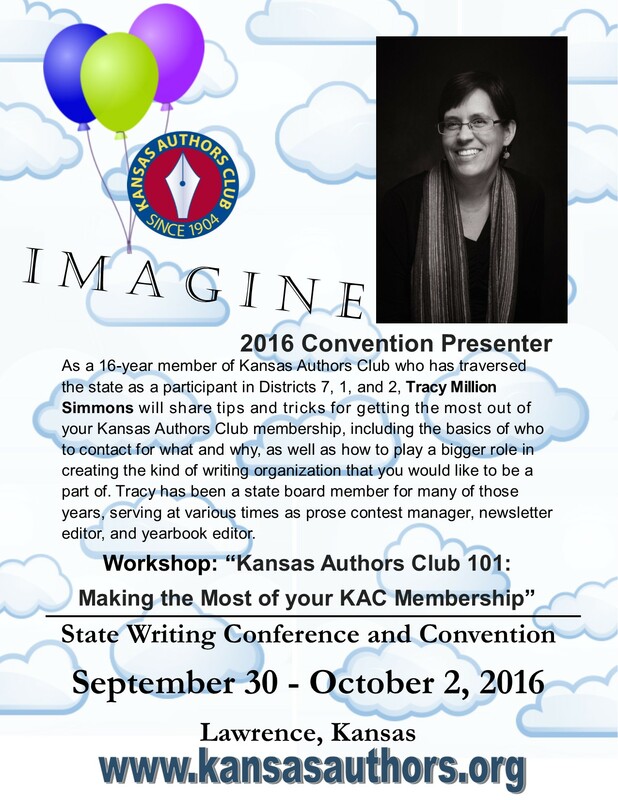 More information about registering for the convention can be found at www.kansasauthors.org. Click the image above to review the guidelines on the website. What are we looking for? I want to read the stories that make you say, "Aha,that is what I love about Kansas." I want to read about people, past or present. 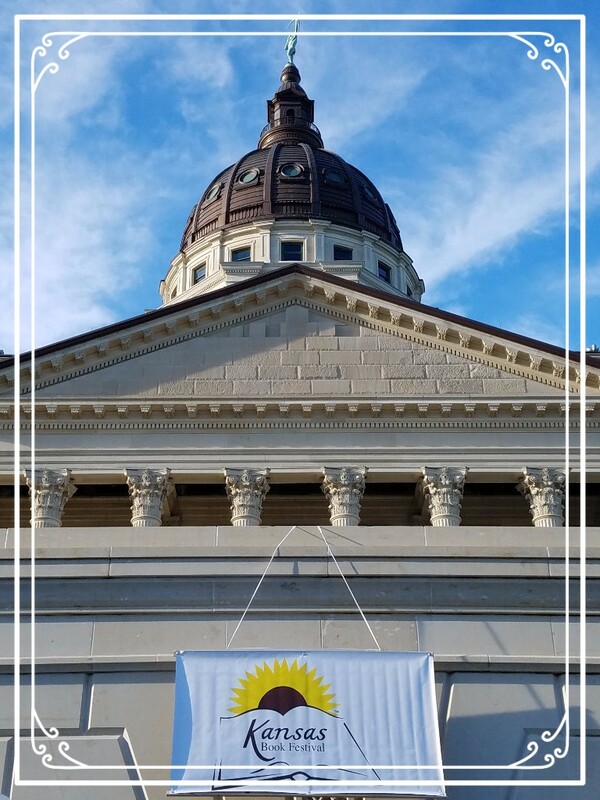 I want to read about Kansas events and communities where people are making a difference, helping their neighbors, inspiring others to follow suit. I want to hear about your favorite place to view the big Kansas sky. Maybe you've already written such a piece. Maybe you have a subject in mind and this is the muse knocking at your door. Write it! Submit it! 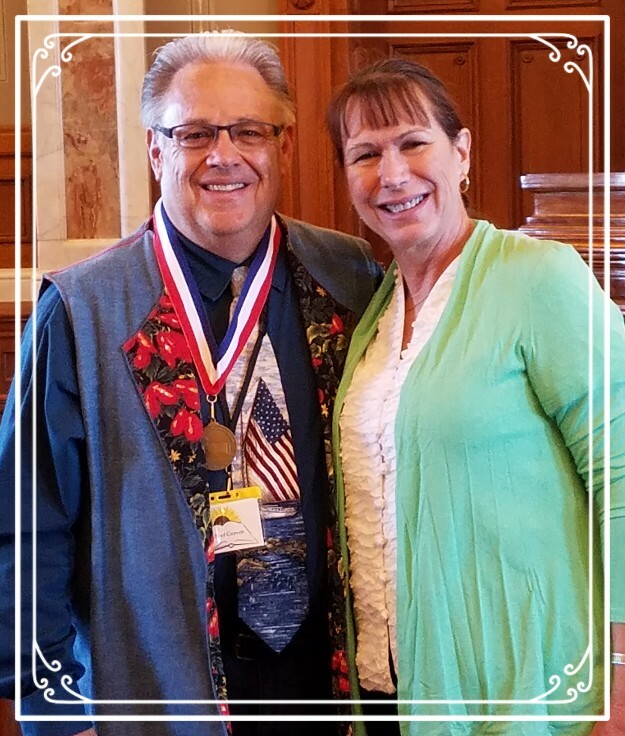 Meadowlark Author, Michael D. Graves, accepted the Kansas Notable Book Award from Mary Brownback at the Kansas Book Festival on Saturday, September 10. Mike's book was one of 15 selected. The entire list can be found on the state library website. 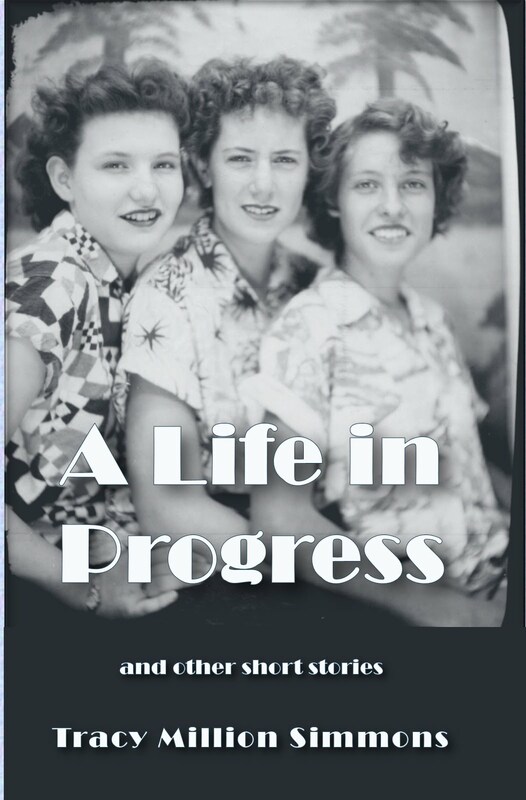 Cheryl Unruh's recent entry, In the Company of My Tribe, was especially meaningful to me. Cheryl has been an important touchstone in my writing life for more than ten years now. 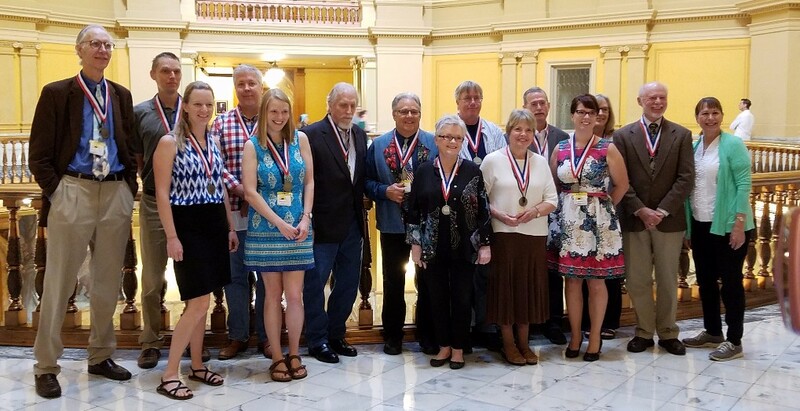 In this piece she talks about our recent trip to Topeka for the Kansas Notable Book Awards, but more importantly, the value of spending time with other writers and the value of sharing in other's creative energy. Speaking of Tribes, I will be a speaker at the Kansas Authors Club convention in Lawrence this year. There is still time to register for the convention. Details can be found at www.kansasauthors.org. Emporia has a new bookstore! Ellen Plumb opened Emporia's first bookstore in 1870. Just 146 years later, our town's best indie bookstore is back. Locally owned. Fiercely independent. Visit Ellen Plumb's in person at 1101 Commercial in Emporia. More than 30 Heartland poets—including two former Kansas Poet Laureates—speak out against bullying, a pervasive evil. 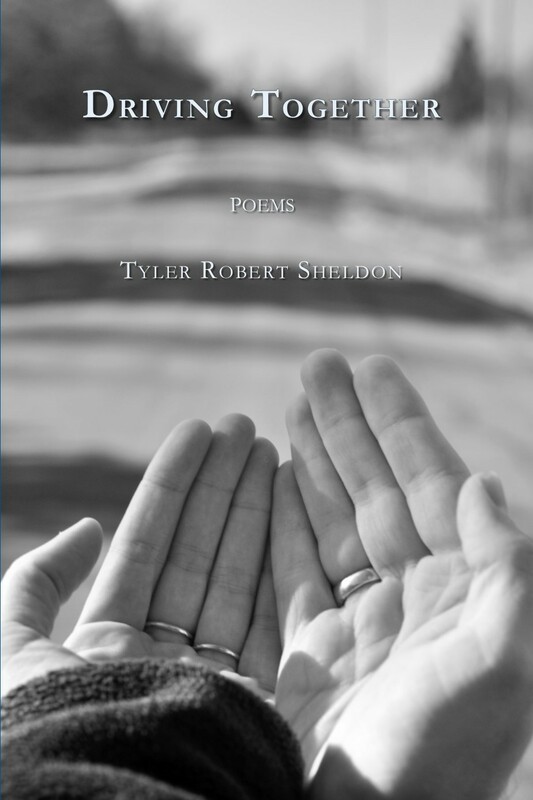 These poems range from illustrating bullying, not only during childhood and adolescence, but illustrate bullying in the workplace, in culture, in politics, in facing the -isms (sexism, racism, ageism, able-ism, etc. ), religion, marital status, military service status, animals, and, even in scientific labs for humanity’s “greater good.” And bullies can be diseases (such as cancer). And voices inside our heads may bully us, too. Some poems also reveal a bully's point-of-view. Fathers, Daughters, and Expectations In 1859, half-sisters Lucy and Cordelia travel by stagecoach from Westport, Missouri to Kansas Territory. Since their mother’s death four years ago, both have lived with their aunt. Now Lucy’s father wants her home. For Lucy, 13, it is a dream come true. Cordelia, 17, chaperones Lucy on the trip home, then continues on the stage to Denver to search for the father she has never met. Her expectations are low, but she can’t stop the occasional dream. Will either father live up to his daughter’s expectations, or will each break his daughter’s heart? Copyright © 2016 Meadowlark Books, All rights reserved.